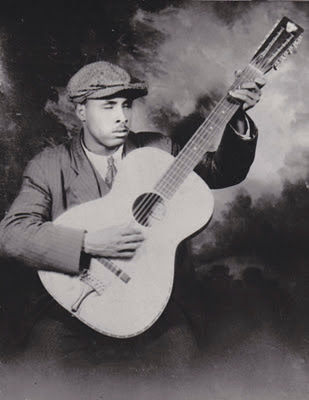 We continue with the third installment of the World's Coolest Dude 1911-2011, covering the winners from 1931-1940. George Herman Ruth was already awarded the World’s Coolest Dude Award in 1920 when he became the world’s highest paid baseball player and went on to have one of his best seasons, his first as a New York Yankee. However, he won the award in 1932 due to one specific moment. 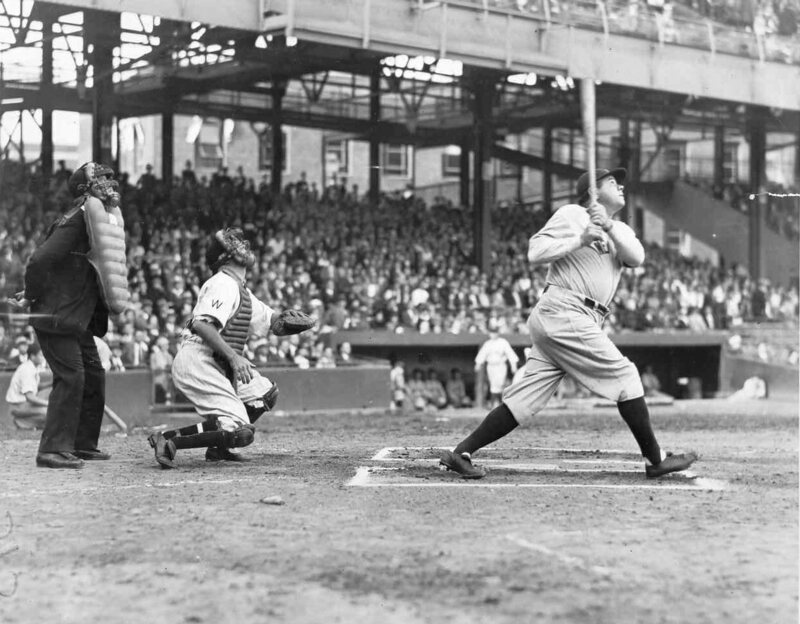 In the fifth inning of Game 3 of the 1932 World Series against the Chicago Cubs, Babe Ruth stepped the plate. He had already hit one home run in the game. The Cubs were taunting Ruth from the dugout, so the Babe, in an effort to taunt back, pointed to the bleachers with one finger. Two balls later, Ruth raised two fingers towards the outfield fence and proceeded to hit the next pitch 440 feet for a homerun. Ruth circled the bases and made a famous pushing motion towards the Cubs’ dugout when he rounded third base. This single moment is perhaps the most famous moment in baseball history if not sports history. The sheer audacity and confidence it took Ruth to “call his shot” is without equal. The time from boast to delivery was so short that it seemed predetermined. The moment had that strange mix of fate, history and ability that leaves you wondering if some higher power intervened or if that person really is just that good. These are qualities the World’s Coolest Dude Committee looks for in their award-winners and nothing embodied those qualities more than Babe Ruth calling his shot in the 1932 World Series. 1933 saw the World’s Coolest Dude Award given to perhaps its most unassuming winner of all-time, Edward Schoeneck. Anyone who watches Boardwalk Empire or who has seen Once Upon a Time in America knows how bad Prohibition was for America. Hell, anyone who just hears about the idea Prohibition can figure out pretty quickly that it was a bad idea. The movement for repeal of the Volstead Act, or the Eighteenth Amendment, had been growing over the course of the 1920’s. Finally by late 1932 and early 1933 it had gained enough steam that the Act was finally repealed by the ratification of the Twenty-first Amendment in December of 1933. A key figure in the ratification of the Twenty-first Amendment was former Lieutenant Governor of the State of New York Edward Schoeneck. The Twenty-first Amendment was the only amendment that was ratified by conventions in several different states rather than by a state’s legislature. Schoeneck took the lead at the New York convention and a key hand in the amendment’s formation. Yes, in tough times like the Great Depression, the dry, tedious task helping to pass the legislation that repealed Prohibition, could win you the World’s Coolest Dude Award. Just check the Schoeneck Family Estate outside of Syracuse, New York. At this point in time, we know how legendary a president FDR was. He was the only president to serve for three terms and he dragged the United States out of the Great Depression and helped to end World War II. However, back in 1934, no one knew how well he was going to do. Sure, he had the Roosevelt name and, well, anyone had to be better than Hoover. But by 1934, Roosevelt had implemented a few groundbreaking policies and institutions that had the country feeling that things might change if only slightly and slowly. First, 1934 saw the initial New Deal in full effect. The Public Works Administration had been set up in 1933 and 1934 saw the Works Progress Administration put into action and gave two million Americans jobs and was seen as one of the turning points in fixing the economy. Second, by 1934 Roosevelt had successfully set up a more isolationist stance toward foreign policy in order to strengthen America’s economy and infrastructure. The U.S. decreased its involvement in foregin affairs, especially in Latin America and also in Europe. The latter could have been seen as playing a part in Hitler’s rise to power, but there were so many other factors and missteps involved in Hitler’s ascension that the WCD committee couldn’t in good faith retroactively revoke the award and besides at the time there was no way of truly knowing what was happening in Germany. So, for his efforts in stabilizing America and his slowly surging popularity and power, Franklin Delano Roosevelt was the World’s Coolest Dude in 1934. From a purely historical perspective, you have to be impressed that Irving Berlin has a Wikipedia entry titled “850 Irving Berlin Songs.” Just think about that for one second. Irving Berlin is in many ways that music that plays in our heads: simple melodies and slight refrains and choruses that never go away. 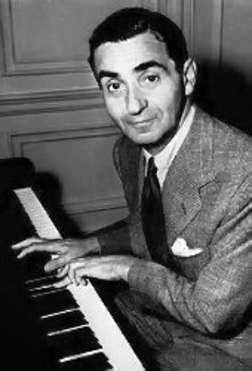 If you’ve breathed oxygen, chances are you have been taught an Irving Berlin song. Berlin started writing songs in 1906 when he was only 18 years old and experienced almost immediate success. However it was in the 1930’s when he was at the peak of his considerable powers. He started off the decade releasing “Puttin’ on the Ritz,” and in 1935 he had the number one song with “Cheek to Cheek.” Though “White Christmas” may have been his biggest hit in 1942, there was no period where Berlin was more influential than in 1935. He was the one songwriter that could truly sway the American public’s heart, which was vital during the Great Depression. There is perhaps no piece of music in the Western tradition that is more beloved or instrumental in educating children about the joys of both story-telling and music than Prokofiev’s Peter and the Wolf. In 1936, Sergei Prokofiev was enlisted by the Central Children’s Theatre in Moscow to write a musical symphony for children, the result was the 25 minute work about the young boy Peter and his adventures with a bird, cat, duck and the titular Wolf. At the time, Prokofiev was disappointed with the reaction to and reception of Peter and the Wolf, however, the WCD committee was impressed by the vision of the work and the moving quality of each theme of the symphony. Prokofiev narrowly beat out Jesse Owens and Max Schmeling to win the award. It was a visionary choice by the committee as Peter and the Wolf is one of the most lasting fairy tales in the Western world as well as one of its most well known pieces of music. Prokofiev may have initially been disappointed, but he was 1936’s World’s Coolest Dude. How did it take Picasso so long to win the World’s Coolest Dude Award when he had been creating masterpieces long before 1937? Well, you know how Jude Law’s career has gone in the tank since it was revealed that he was a womanizer? Picasso had the same misfortune of angering some of the World’s Coolest Dude committee by his own womanizing over the years and thus he won the award only in 1937 when he probably should have won it a few other times. But in 1937, Picasso was undeniable. In response to the bombing of Guernica by German and Italian forces that had sided with Franco in the Spanish Civil War, Picasso painted what is perhaps is greatest and most iconic work. It is certainly the most scrutinized of his paintings as it has become a symbol for the atrocities of war. The painting is full of symbols, but Picasso, as any great artist would, explained that he painted the objects in Guernica for what they were, which is what the greatest art comes from—objects, presented in their true inner light and radiating outward to the viewer/reader/listener. And make no mistake, in 1937 Picasso was officially considered the greatest artist of all-time and was on his way to joining the strata of Jesus, Shakespeare, Tolstoy and Joyce as the greatest human magicians that ever lived. World’s Coolest Dude? Please. We live in an immediate culture. Twiter and Facebook updates can simultaneously create mysteries and fictions and yet provide us with late breaking news. We can tell all of our loved ones and even all of our acquaintances where we are at any given just by checking in somewhere using FourSquare. Obviously this wasn’t always the case and in 1938 Orson Welles manipulated the people of his day with his infamous War of the Worlds broadcast. In order to give his adaptation of H.G. Wells’ novel a sense of realism, Welles decided to stage his radio performance as a live newscast of developing events. Many Americans tuning into the broadcast immediately panicked, which helped to further establish America’s long-standing love of panicking. The performances by Welles and his players from the Mercury Theatre was so convincing that newspapers actually reported stories about the “martian attack.” The notoriety Welles gained from the War of the Worlds broadcast eventually propelled him to his first movie contract. 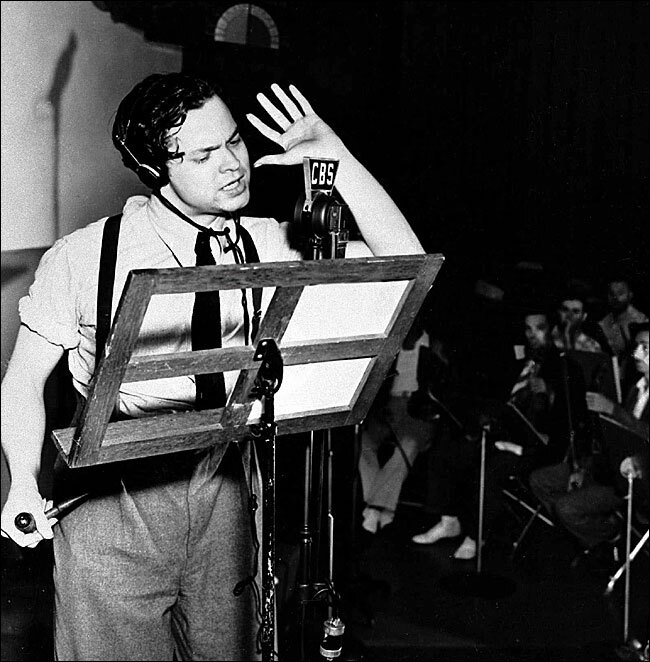 In 1938, amid the controversy and the panic, Orson Welles stood as the World’s Coolest Dude. You wouldn’t expect 1939 to have held one of the closest World’s Coolest Dude races of all time, but it did. Gone With the Wind is one of the most epic and beloved movies in film history and Clark Gable gives one of the most iconic performances the big screen has ever seen. “Frankly, my dear, I don’t give a damn,” is an immortal line that we all use in either jest or some kind of vague seriousness at some point in our life. Gable was larger than life in the film and it rightly became his most famous role. The movie was huge; it won the Academy Award for Best Picture and Gable was nominated for Best Actor. It cemented Gables legacy as a leading man and he never looked back for the rest of his career. All of this and Gable barely edged out John Steinbeck who published his most popular book and one of the best selling books in American history, The Grapes Wrath, in the same year. At the time it was one of the most controversial novels that had ever been published in America, with people banning and even burning it. The World’s Coolest Dude Committee, never shy from controversy, had to think long and hard about who to give the award to and in the end, the iconic nature of Gable’s performance won out. Steinbeck did get his due from that Nobel organization. FDR had built up almost eight years of charisma and the trust of the American public through his “fireside chats” and his efforts to end the Great Depression, but there had never been a three term president in United States History—a precedent set when George Washington refused to run for a third term in 1796. However, the country was still not out of its financial crisis and the world had become a much more sinister place with the growth of Nazi Germany and their growing control over Europe, so FDR decided that it was in the nation’s best interest to run again (OK, so maybe he just wanted the glory. Go read an FDR biography to find out what actually happened). At the Democratic National Convention, FDR, in a great ploy borne from charisma and confidence, stated that he would not run unless he was drafted (chosen) by the people. FDR, in another tie to the American workingman, had his team enlist the Chicago Superintendent of Sewers to set up a microphone in the basement of Chicago Stadium, where the Convention was being held. When FDR’s name was mentioned on the floor, the Superintendent of Sewers yelled “We want Roosevelt! The world wants Roosevelt!” Speakers connected to the microphone had been spread around the stadium and gave off the appearance of one united voice. This stunt stirred the crowd and led Roosevelt to receive his party’s nomination (this stunt was also used by Erik Lilleby in Gelinas Junior High School to promote at party at Andy Wortman’s house in the spring of 2000). He went on to win the 1940 Election, forge a friendship with Winston Churchill, a “were they won’t they friends?” friendship with Joseph Stalin, lead the Allies to victory in World War II and then get elected to a fourth term in 1944. FDR was without a doubt the World’s Coolest Dude in 1940. Check back tomorrow for the fourth installment of the World's Coolest Dude 1911-2011 list, which covers the years 1941-1950.